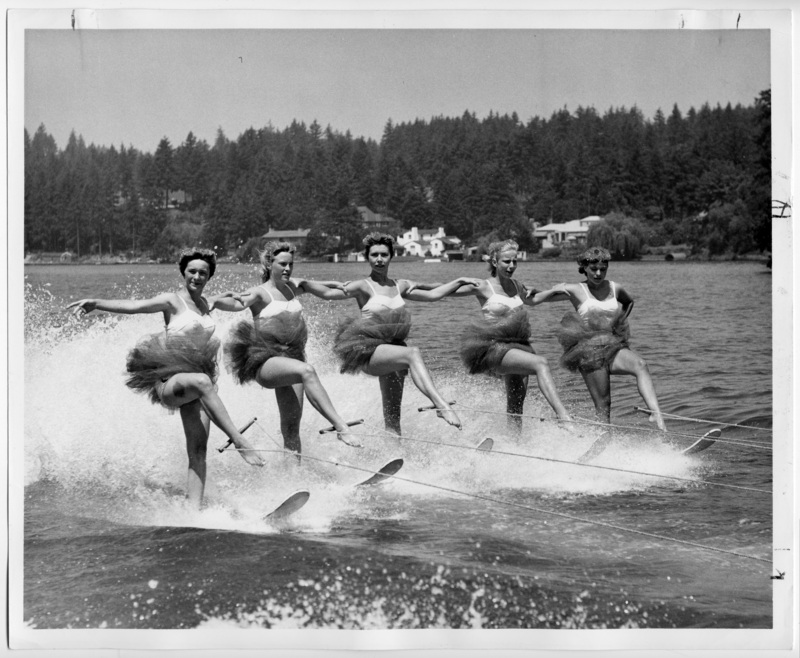 Oswego Water Ballet 1959. Oswego Review as marked. Left to right: Lita Schiel, Karen Kisky, Janet Wilson, Marion Blew, Sandy Langoe. Description Slight creasing and marks along edges. May be Willamette River or Oswego Lake. Transcription Oswego Water Ballet 1959. Oswego Review as marked. Left to right: Lita Schiel, Karen Kisky, Janet Wilson, Marion Blew, Sandy Langoe.